Apple has been moving out of the computer business for awhile. Where once the WWDC keynote would have revolved around OS X (just renamed macOS), now the event is the iOS show. Which is totally understandable! iOS is one of the most widely adopted operating systems in existence and it makes Apple major money every year. Of course Apple would focus on iOS. But the Macbook Air and Macbook Pro are the two most popular laptops used by programmers (including likely 99 percent of those in attendance at WWDC), and they’re both in sore need of a refresh. Some very notable analysts were sure that this refresh would happen today. Instead of the next step in Apple laptops we got iOS’s assault on Snapchat and Google Maps. It has now been more than 390 days since the Macbook Pro was updated and a glaring 460-plus days since the Macbook Air saw any internal tinkering. That means Apple’s two best selling laptops haven’t seen a single refresh in well over a year. Every considerable advancement we’ve seen in computing in the past year (and change) has passed Apple’s flagship laptops by. No OLED displays, no fancy 360-hinges, no spatially aware cameras, or RGB keyboard backlights, or USB-C, or even Thunderbolt 3. The MacBook Air and Pro are the worst buys in laptops right now. In the case of the 15-inch Macbook Pro Retina—one of the most popular workstations built and the subject of numerous imitations—the situation is even worse. The processor powering the little guy is over three years old! It is ready to go to pre-school and learn arithmetic, and we’re asking it to edit videos, compile programs, and render GIFs. What does all this haggard old hardware mean? The MacBook Air and Pro are the worst buys in laptops right now. Spending $1,000 to $2,600 on one of these machines is throwing your money into a garbage fire and then standing downwind of the putrid smoke. Apple would like you to buy an iPad—a device Tim Cook called the “future of computing” at WWDC today. My own colleague would suggest you buy a Chromebook. But neither is going to let you program for Windows, MacOS, and Linux at once—or hop into AfterEffects. They’re just going to cripple the power user desperately in need of a new workstation and frustrate the casual user who might need a little more than a reading and writing machine (for which both Chromebooks and iPads are fantastic). The failure to announce anything related to the Macbook Pro and Air today doesn’t spell the end of Apple’s career in laptops. 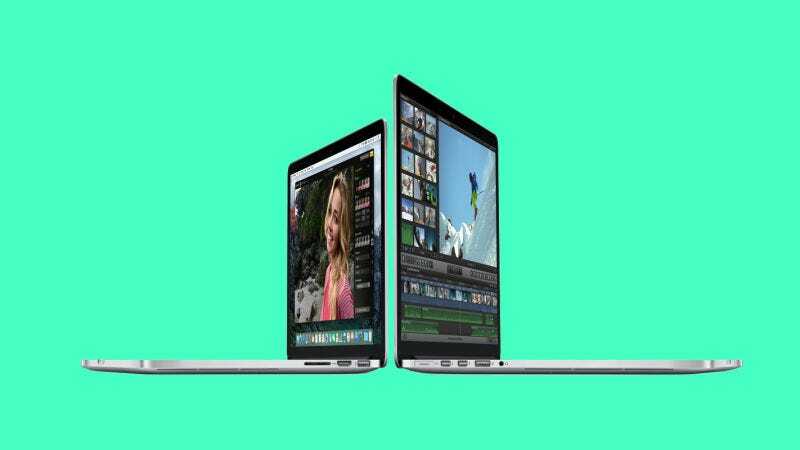 But by omission it’s made something startlingly clear: your next laptop won’t be an Apple one.